Is a Fingerprint Attendance System Effective? 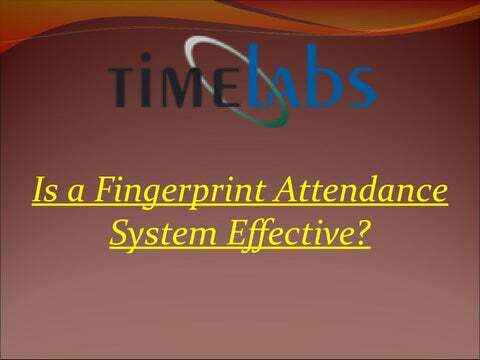 A fingerprint attendance system is an efficient way of tracking employeesâ&#x20AC;&#x2122; clock in-and-out times. Spreadsheets used to be the traditional way of tracking time and attendance. But this rudimentary system was not without its faults. Apart from serious miscalculations in payroll and benefits, it also encouraged time theft and buddy punching. How does a fingerprint attendance system work? Biometric technology like fingerprint scans, voice recognition, palm and retina scans have simplified how companies can track time and attendance for their entire staff roster. Fingerprint systems in particular are capable of distinguishing patterns or ridges on every personâ&#x20AC;&#x2122;s finger. In fact, every personâ&#x20AC;&#x2122;s finger print is unique. When a fingerprint attendance system is being implemented, all the employees in your company will be required to submit all their fingerprints to be inputted into the directory. At main entry/exit points of the company, a fingerprint scan terminal will be placed. Each time an employee enters or exits the premises, their fingerprint will be scanned. This data will be locked in and sent to the main HR server, where the date, time and employee identification information will be stored. With this innovative technology, companies can save thousands of dollars on time theft, buddy punching, inaccurate data tracking, etc. It also reduces overpayments resulting from miscalculated attendance data. This program will also increase employee attendance and timeliness as it imposes discipline. How effective is a fingerprint attendance system? Here are a few benefits your company can enjoy as a result of installing this biometric technology: 1. Increased Accuracy Biometric clocks are more accurate at capturing time in and time out data than older systems. Itâ&#x20AC;&#x2122;s virtually impossible to cheat or forge fingerprints. 2. Prevents Buddy Punching Many companies face this issue. Itâ&#x20AC;&#x2122;s illegal and often results in millions of dollars in lost revenue. With a fingerprint scanning system, buddy punching is virtually eliminated because one employee cannot punch in on behalf of another. 3. Eliminates Time Theft On average, employees waste up to 20 minutes each day. With a fingerprint system in place you can easily calculate this lost time and explain its ramifications to the employee in question. Time theft is also a huge contributor to loss in revenue. 4. Tracks Remote Employees Biometric fingerprint clocks can also track employees on the go. Remote workers will be required to download the app to their mobile device and integrate it with the attendance system at work. Employers can then easily monitor their remote team irrespective of their location. A fingerprint attendance system is a state-of-the-art technology that can provide an effective, cost-saving solution for many companies. 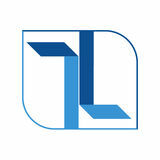 Get in touch with Time Labs to learn more.